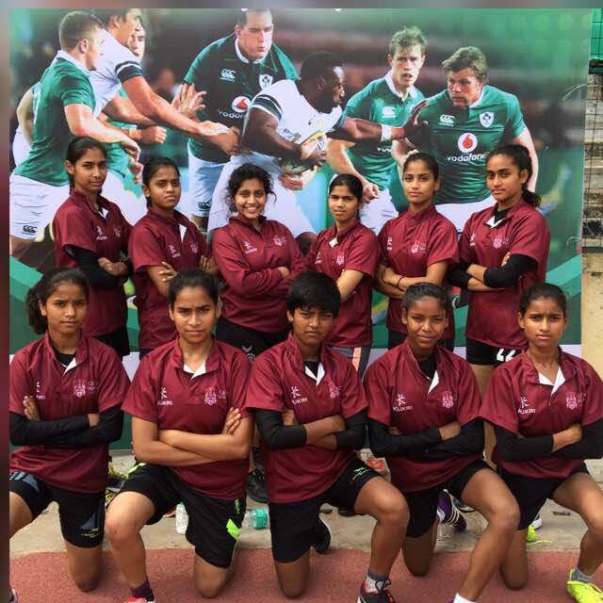 Help send underprivileged girls for a Rugby Tournament in Orissa! 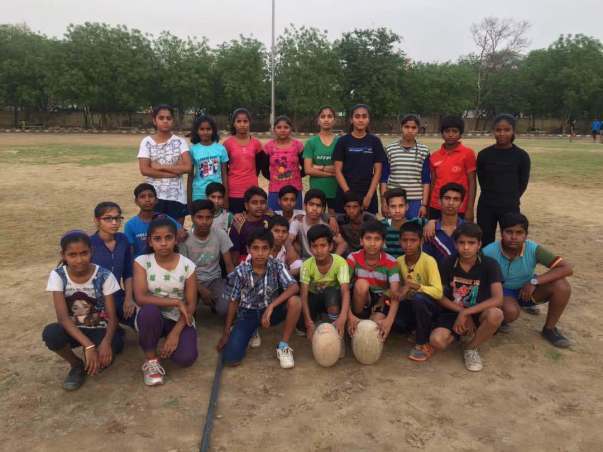 In the dry, sandy field of a girl's government school in a village called Pooth Kalan every morning without fail at 5 am sharp, you will find the underprivileged girls of Delhi Rebels Rugby Club practicing hard for two hours before their school even starts. In the hot and humid weather of Delhi, with flies swatting and people milling about using the field for recreational purposes, they continue their practice, dedicated and determined. Most of them barely scrape by school due to poor teaching, despite interest in their subjects and a desire to learn. However, these girls found an alternate area to express their passion in- in the sport of Rugby. These girls have dared to dream. 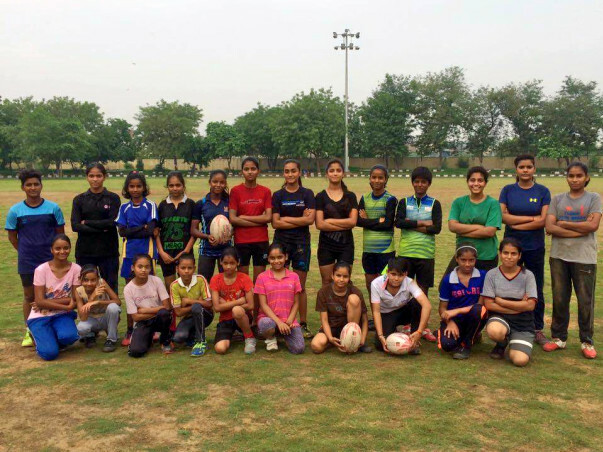 Assistant coach of the Indian Men's Rugby Team, Subhash Kumar Solanki saw potential in the girls he encountered and decided to start coaching them out of the goodness and charity of his heart. He currently has 26 girls under his wing that he has chosen for their talent, skill and determination and he trains them daily in order to help them reach the potential. They are slowly evolving into brilliant players and several have been able to represent Delhi in national tournaments (with help from sponsors). 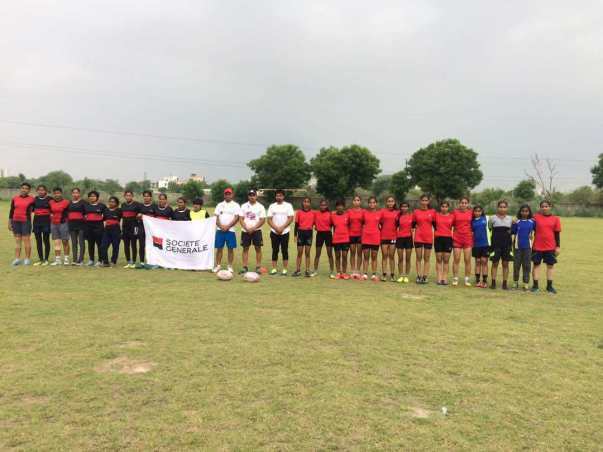 Rugby is a sport that is not so frequently played in India, but it has taken popularity in villages and small parts of Delhi and is being promoted by coaches who train players they find in the sport. These girls are lucky enough to have been given a chance to play. 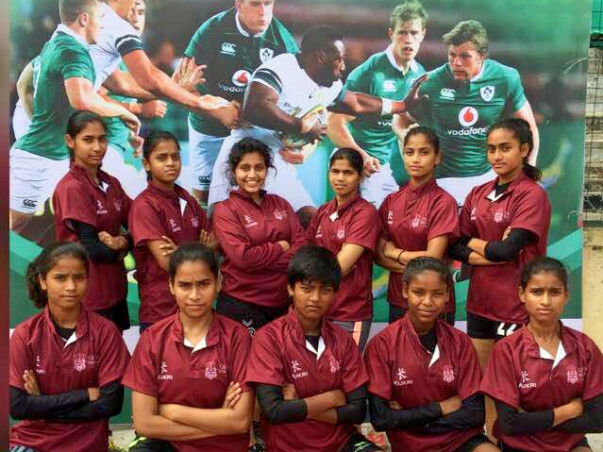 Twelve girls have been selected to represent Delhi in the Societe General All India Club Rugby Sevens Championship (Under-17 Boys and Girls) on the 28th, 29th and 30th of July in the Kalinga Stadium of Bhubaneswar, Orissa and were more than thrilled to see their efforts bearing fruit. But, good things don't come easy and to their dismay they found that nobody was willing to sponsor them for this tournament! The girls pooled together whatever money they could spare but are coming up short of the required amount to cover their travel, sports kits (jersey, shorts, shoes, bag), food and drink and first aid kit for the trip despite availing to the most economical options available to them. The hard-working girls of the team do not have a good education and opportunities to their disposal. The will continue the cycle of living humbly while just about making ends meet and struggling. Arts and sports give them alternate options for their future, not having to solely rely on the small, poorly-paying jobs they will get. Subhash sir started coaching these girls with the idea in mind to empower these girls through sports and facilitate their development by giving them alternate opportunities to channel their passions and energy in and hence, different paths to take for their careers. Several girls under this same mission have found careers by representing the Indian national team in sports and have been able to break the cycle of poverty they have been stuck in. Funding these initiatives is important in order to alleviate girl children. This tournament is one of few that are available for them to showcase their talents to scouts for the team so it is essential for these girls to grasp the opportunities they can to try to make the most of their talent. Please do your part to help them raise the funds needed to be able to go for this tournament as a little contribution on your part can make the world of a difference for them and their futures! Come join hands in this effort to alleviate girl child and provide them with ample chances to fulfil their dreams! I am so touched and shocked by the huge amount of generosity that has been shown by all of you to help the girls of Delhi Rebels Rugby reach their dreams and cannot possibly express my gratitude towards you for your efforts and contributions as their effect and possible impact is undefinable. We reached Rs. 10,000 more than our original goal and even had a donor for the train tickets for the return journey. Thank you all for aiding us on this journey and the compassion and large-heartedness you have shown today can change some lives tomorrow! I cannot possible express my gratitude towards all of you for your funds and the girls will be the ones who will reap the benefits of your hearts. I will be posting pictures from the tournament after this weekend to update you on what has been done with your funds to develop and empower these strong young girls. Thank you so so so much again! Thank you all so much for your support. I'm extremely delighted to say we have raised more than 1/5th of the cost on just our first day, thanks to you all! I was sceptical at first but its touching to see how big your hearts are. As soon as we hit Rs. 18,000, I will withdraw the money and we will pay for the travel as it is of utmost importance- we are only Rs. 4500 away from that goal! Your contributions are appreciated immensely and every little bit counts. Thank you so much, your help might just change any of these gifted ladies' lives! All the best girls. Do well.